Note: If you do not require any of the fields below e.g. only have 2 children please add N/A to the personalisation fields not required. For the colour reference's please use the chart provided and enter these accordingley. 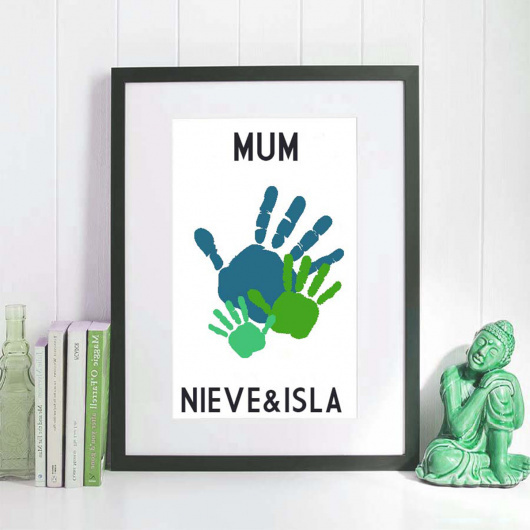 Stunning personalised hand print artwork and message for Mother's Day. 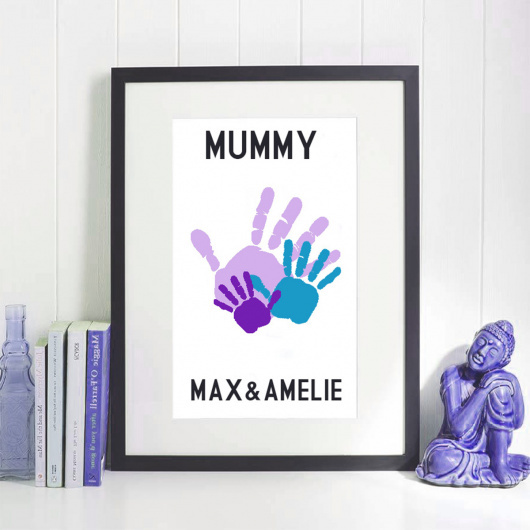 This beautiful framed artwork can be personalised with a message and then you can either use our hand prints or supply your own in a jpeg format and we will use your own handprint to create this stunning, unique piece of artwork. We use very high quality print paper and the highest quality coloured inks to create to your personalised print. The print is then beautifully framed in a white wooden frame 30 x 40cms. When you add this to your basket you will be asked to confirm the number of parent hands and the number of childrens hands you would like on your print. Parent 1 will be positioned at the back and parent 2 hand print overlaid in front of that. The children's hand prints will then appear overlaid on top of the parents in order of age - the youngest child's print will therefore be at the front. We ask for the age of each child and will then size hands accordingly. Please note unless you provide us with a jpeg of your child's hand print this is for illustration purposes only so may not identically replicate your child's hand size. You can also choose any colour you would like for each hand. Again please be specific using the exact colour reference from the image colour chart. 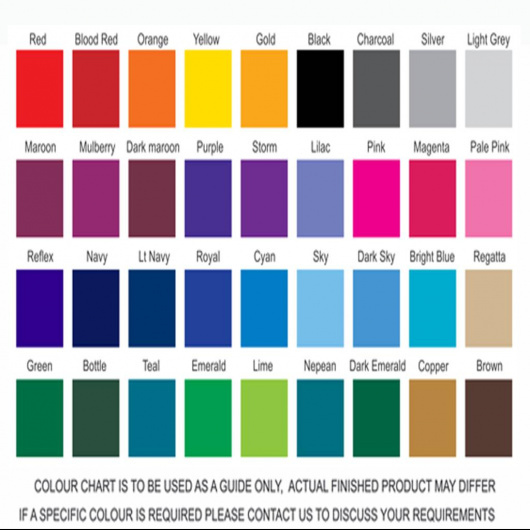 We would be happy to assist if you have specific colour requirements but you will need to send us the colour so we can try and colour match it as exact as possible. Please note when printed the colour may vary slightly from the digital version on screen. We also request an email address that we can send you an email proof to of your print for approval prior to printing. Please note once approved you will not be able to return the item to us unless it arrives damaged.